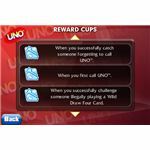 UNO has been a classic card game since 1971. With today's modern technology we can take a popular family game to go. How does it compare to its card counterpart? Read on to find out. Single Player offers a few options to keep you occupied. Of course, there is the traditional way of choosing to play between two to four players. Beyond traditional playing, there is a custom mode. 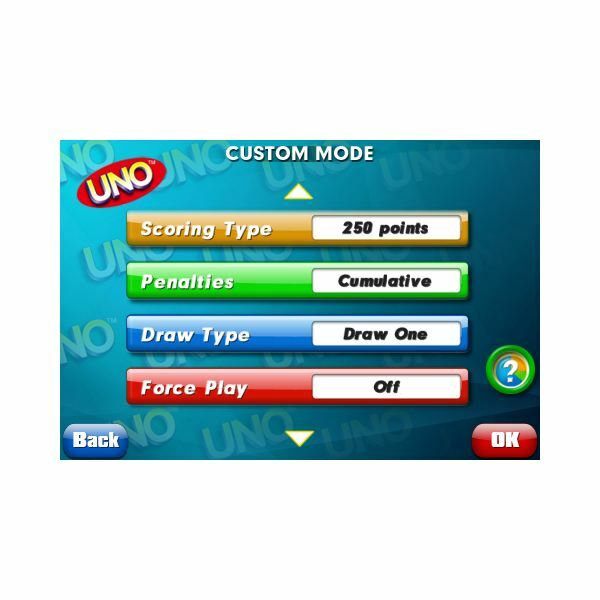 The custom mode entails modifying the rules of how UNO was originally carried out. For example, the drawing rule can be changed. There is a custom rule for changing the draw setting from "Standard" to "Cumulative." I personally like this setting because if I have a draw two card and the player before me uses a draw two card, I can then put mine in instead of drawing cards myself (traditional rules state that I would lose my turn.) Then if the next player does not have a draw card, he would have to draw 4 cards! It really makes the time fly by. Single player also incorporates a tournament mode. 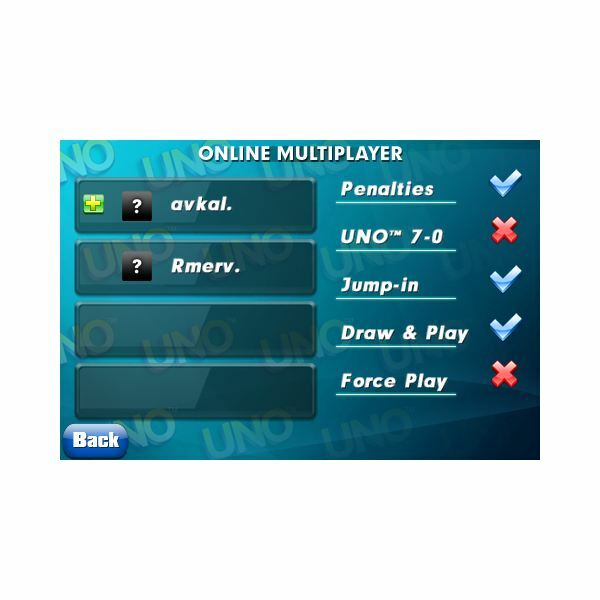 This mode involves playing against a different number of players and playing outside the UNO rules that are the same as choosing a custom game. Tournament invokes a variety of ways how UNO is playing. It also teaches strategy, which can improve your own card game. A great feature which improves the lasting factor is the rewards that can be earned. 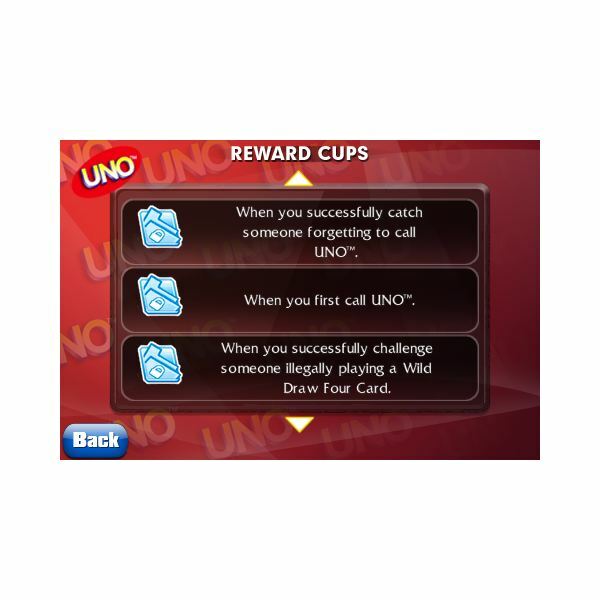 Rewards can be earned by doing various tasks such as being the first to call UNO in a game or being able to successfully challenge a player. These rewards, in return, give additional features such as new player icons and gaming backgrounds. It really reminded me of how the Xbox Live Arcarde provies the same feature. 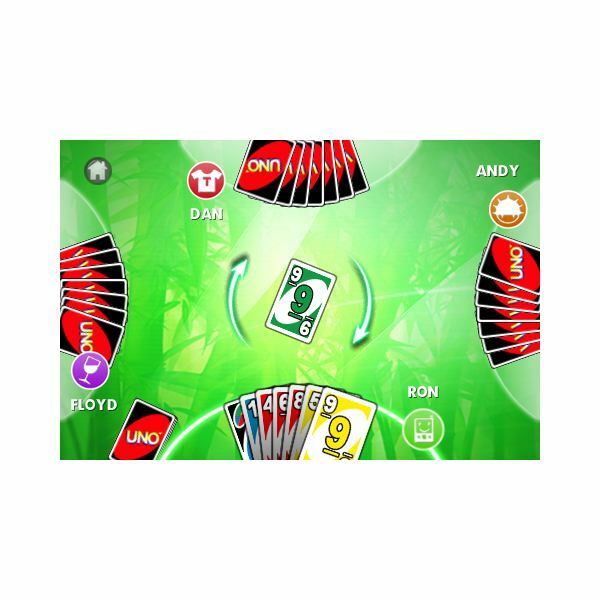 Gameloft's UNO really brings the traditional gameplay to an electronic form. 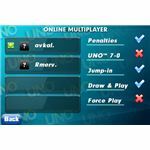 The user experience involves hours of fun for both single and multiplayer. Also, the replay value is high as most card games are. The reward mode encourages a desire to get all the rewards. Rewards is a refreshing feature that I am starting to see in a lot of games for Apple's mobile platform. The price of $4.99 may be a deterrent for some who are looking to buy. However, take this into perspective: the price is less than paying for a deck of actual UNO cards. 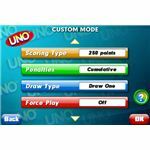 If you are a fan of UNO, this is a definite buy and won't burn your wallet for hours of entertainent. 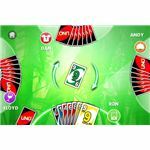 Gameloft's UNO can be downloaded from the iTunes store.